With facilities continually growing to meet public needs, and increasing regulatory demands, Huffman Engineering understands the utility customer’s requirement for a reliable, safe and secure system. Serving the water/wastewater industry since 1987, and applying our extensive experience on control system designs, Huffman Engineering, Inc. provides turnkey systems to meet both current and future needs of water/wastewater customers. Huffman Engineering, Inc. control systems are developed with flexibility for increased and modified reporting that meet increasing reporting requirements. Today’s water/wastewater customer expects a fully integrated system of PLCs, operator interfaces, and networks that deliver accurate information in a user-friendly format. Leveraging extensive experience in control system design and established technology, and a growing understanding of emerging technology, Huffman Engineering delivers systems based upon the foundational principles of reliability, safety, and efficiency. 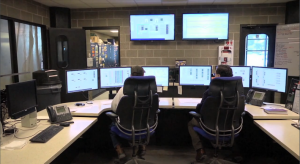 Supervisory control and data acquisition (SCADA) systems and telemetry (radio/cellular) are carefully integrated into the total control system, giving the customer an accurate user-friendly central control system. With a growing number of legacy systems, municipalities can trust Huffman Engineering to understand the urgency to complete work within scheduled timelines. Minimal downtime reduces security risks and increases the availability of services to water/wastewater customers. We work with clients to achieve their objectives using value engineering, applying thorough documentation processes and rigorous testing. Huffman Engineering’s expertise is affirmed by having been a Control System Integrators (CSIA) Certified member since 2005, a Rockwell Automation Process Systems Integrator, Wonderware recognized partner, Wonderware InTouch Certified Integrator, a Schneider Solutions Partner, and an Ignition Certified Integrator. To learn more about our simple, reliable and affordable water treatment control system, click here.